We celebrated my mother's birthday today (22+ as she likes to say.) She requested a pear dessert, so I took a simple, easy route. 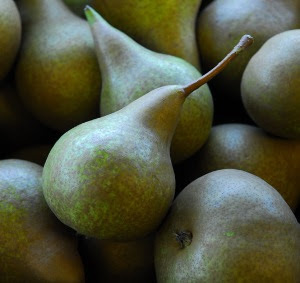 I caramelized Anjou pears in butter and brown sugar. That's it. Sweet and simple. It took a total of 10 minutes, including the peeling process. It was delicious as is, but I am excited to try it with a little bit of rum and vanilla ice cream. Caramelized Pears Peel 1 pear for each person, and cut away the core. Melt about 1 tbsp. 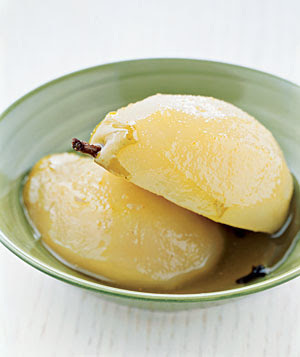 tablespoons butter for each pear in a skillet over medium heat. Place pear core size down for about 4 minutes. Flip pears and place brown sugar in core. (more the better) Lightly salt. Cook for 4 more minutes, then serve with drizzled sauce on top.